Someone explain the difference between 3.6 kHz and 4.5 kHz frequency response? Is one louder or better than the other? Is there difference in sound between the two? Apart from that a frequency response of 4.5 KHz indicates the potential reproduction of signal-frequencies up to about a quarter octave higher than a unit with the frequency response of 3.6 KHz, those numbers don't tell anything about the resulting sound. Individual data like that are literally worthless on their own. Yes, we could do with some context here. Those frequencies are right in the middle of the audio range and are unlikely to be the upper or lower limit of anything. Richard: Why are you asking? The previous responses are correct. We could give all kinds of theoretical answers based upon assumptions and guesses. But if there is a specific problem or question you have it would help to know what that is. They aren't all that far apart from eachother. They are both in the most critical treble area. 3.6kHz is near the middle of where the ear is most sensitive to harsh treble. 4.5kHz is just a bit above that, still very much at the heart of what we hear as treble. Only the frequency is indicated here, not the "amplitude" our loudness of those frequencies. Those frequencies can be adjusted with eq or tone controls and be made loud and strong OR be made soft and subdued. Neither one is better or worse, but as a mastering engineer who works with frequencies and EQ's all the time, I can say that I find the frequencies around 3.6khz to be a little more potentially painful to the ears if too loud as compared to 4.5kHz. That general range in the 2.5kHz to 4kHz spectrum gets special attention because of the ear's particular sensitivity there. The frequency range spans further than humans can hear or sense and everything in between. We could get real picky and say 3.650 hz instead of 3.6hz. Human hearing is normally 20hz-20khz. So imagine an EQ system with 20,000 knobs. Not gonna happen unless in software... and sometime in the future. Asking the difference between 3.6 and 4.5khz is like asking what's the difference between purple and violet and asking which color is "better." Since most instruments are designed to give a ballpark idea of where certain frequencies are, a 10 band EQ system is a broader paintbrush than a 31 band in that if there is a 3.6khz setting, it will most likely include frequencies on either side of that one frequency not unless you have a Q knob that adjusts for a wider or narrower bandwidth meaning a "wider" will affect frequencies that are real close to the 3.6khz range, or not if narrower setting on the bandwidth. If we get into digital EQ software, we can get the hairsplitting frequencies. It's never that one frequency is better, it is more about which frequency works. And then using gain controls brings up or lowers a host of frequencies alongside to where tweaking just one frequency takes on a different response in your monitors depending on where you set the gain. Then what you hear out of your amp and speakers and where you are when you are hearing them, in a room, outside, in an acoustically treated room where the frequency response of the room is flatter than say your living room, you will hear differently and that 3.6khz vs 4.5khz will take on a different timber altogether as it reveals itself in a mix or an instrument. Sounds like you're trying to decide which of those two frequencies to choose on a system? Or are you mixing a track? Without more information, your question is vague to give a pointed answer. But an example would be that the range of 3.6khz and 4.5khz is good for bringing out vocals in a mix but it's all arbitrary and one is neither "louder" nor "better." How good is your hearing? Some ears have frequency loss and can't hear 4khz as well as 3khz. Or your speakers are not good at one frequency and tend to not faithfully reproduce certain frequencies. Or there is a phase cancellation in your room and where you are sitting next to your speakers that comb filters 3.6k and/or 4.5k so you can't hear those frequencies leading you to wonder which one is inherently louder. Lastly, an EQ system should have a gain control on every frequency provided on the system. So if you work the gain, you will be hearing the tweak on some sort of speaker, in some sort of room and with YOUR ears and whether it is louder or not is a function of so many factors. Again, what system are you referring to and why are you asking this question? Thanks to you all for your responses. Explanation: I have a Quilter Steelaire combo with an eminence speaker and the specs show a frequency response at 4.5 kHz and I was checking out another eminence speaker PF-400 which specs show a 3.6 frequency response and was contemplating a change. A simpler answer to your question is that the speaker with a 3.6khz rolloff frequency will not seem to have as many highs as a speaker with a 4.5khz rolloff frequency. However, many other things affect the response and sound, so this is just gives a basic idea of its performance. The confusion is the way you asked the question, "Someone explain the difference between 3.6 kHz and 4.5 kHz frequency response?" This means that the frequency response of the speaker drops off sharply below 60 Hz and above 3.6 KHz. If you look at the frequency response amplitude graph on that web page, you can see what they're talking aobut. At about 3.6 KHz, the Sound Pressure Level (SPL) drops off from about 100 dB to about 90 db at 4 KHz and about 80-85 dB above 4.3 KHz, dropping off even more above 15 KHz. In my opinion, the issue is how are these speakers going to sound in a particular amp. As Brad says, 2.5 to 4 KHz is the frequency range where a lot of the treble power lives. 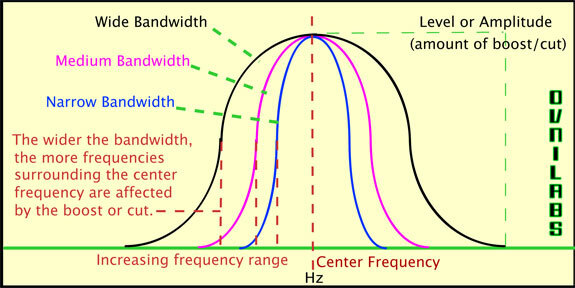 Personally, I generally care more about the frequency response curve in the midrange area, more like 200 Hz to 2.5 KHz, since this is where most of the signal tends to live. To me, dips and peaks and overall strength in that area tend to affect the overall sound most. If I find the high-treble end too much or too little, it's a pretty easy matter to just turn treble on the amp up or down a bit. Looking at the frequency response amplitude curve on the PF 400, I see a very strong response (around 105 dBSPL) in the 1 KHz to 2.5 KHz area, the upper-midrange area. Makes sense to me for pedal steel. Should be a pretty clear, present sound. I wouldn't personally worry much about the dropoff above 3.6 KHz. Of course, the exact particulars of the amp matter a lot - I think it's pretty hard to make precise predictions about how a speaker is gonna sound in an amp from small differences in specs like this. If I was contemplating a speaker change like this based on specs, I'd want to compare the detailed frequency response curves. Yes, string tone tends to live around this frequency range.